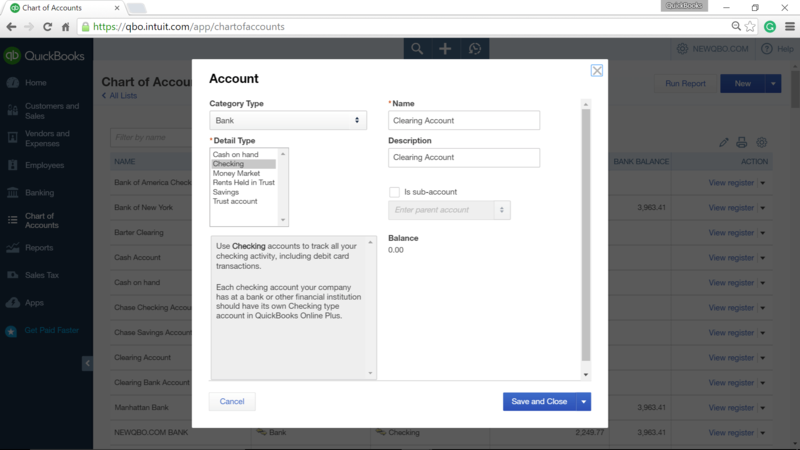 These are the specific steps you can follow in QuickBooks Online (available in plus plan only) if you are donating or giving away tracked quantity on hand inventory items. 1. 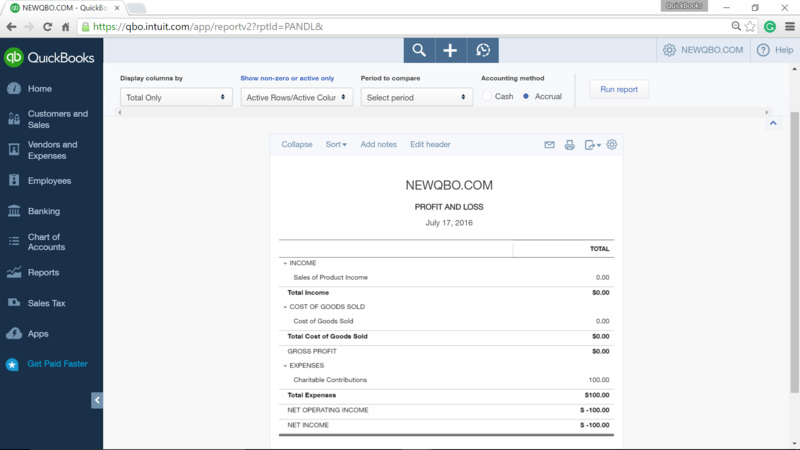 From the Home Page screen > click Create (+) Sign (top middle bar) > Customers > Sales Receipt and create a Sales Receipt for the inventory item. 2. Choose a customer (name of donating company). Add new if needed. 3. Select Item Donation as your Payment Method. Add new if needed. Optional. 4. 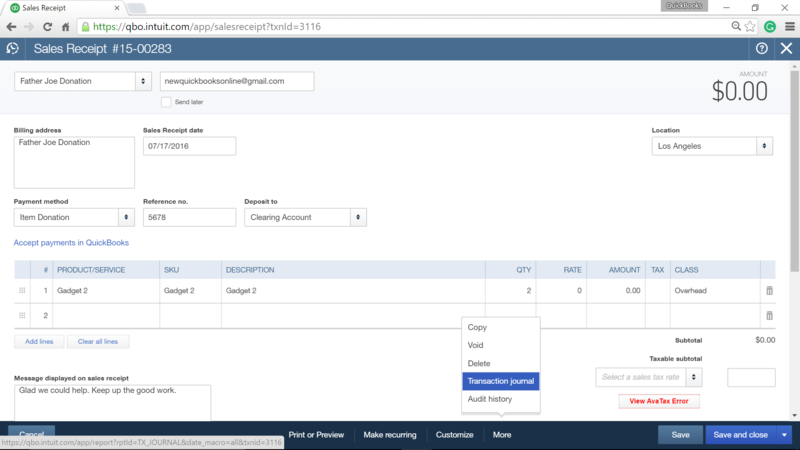 For “Deposit to” field, select Add new and create bank category type account. Name it clearing account. (This will create just a zero dollar transaction. You would not have any actual banking transactions in this bank register). 5. In the Product/Service column, click the drop-down arrow to select the product/service you are donating. 6. Change the Rate of the selected product/service to zero so that the total of the sales receipt is zero. 8. Click “More” at the bottom. 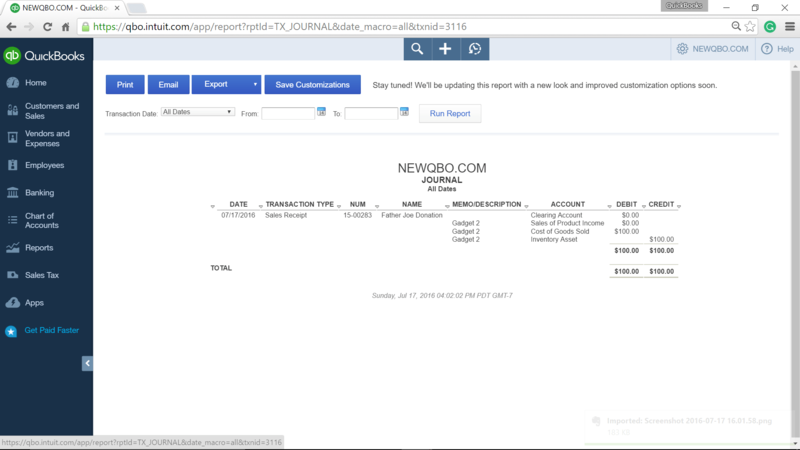 Select Transaction Journal report. This will give you the original cost of the inventory items you are donating. Print as PDF or select export to excel. Do the same for the Sales Receipt. Next, to account for the original cost of the product/service(s) selected, create a Journal Entry to move the cost out of the Cost of Goods Sold account and into the appropriate expense account (for example, Charitable Donations Expense). 1. Click Create (+) sign > Other > Journal Entry. 2. 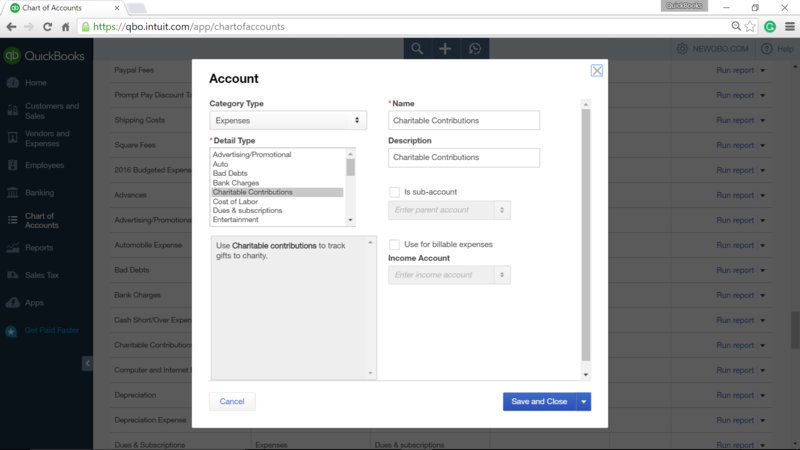 In the Account section, choose the expense account used to track charitable contributions (for example, Charitable Donations Expense). 3. Enter the cost of the product/service in the Debit field. 4. 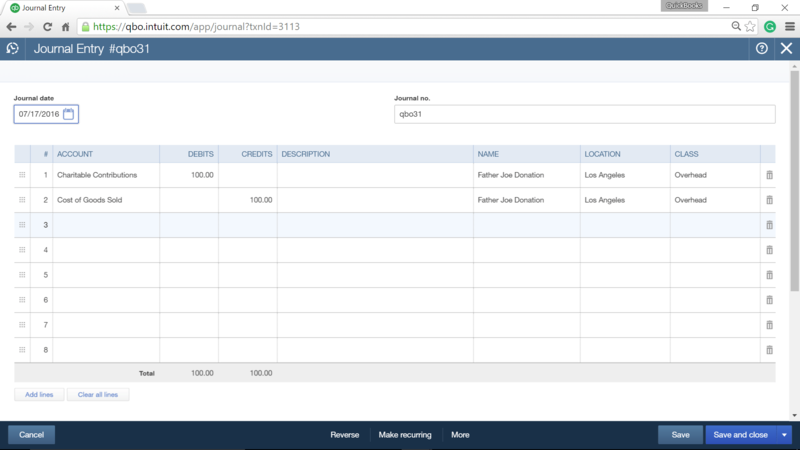 On the next line, click the drop-down arrow and select the Cost of Goods Sold (COGS) account for the donation. 5. 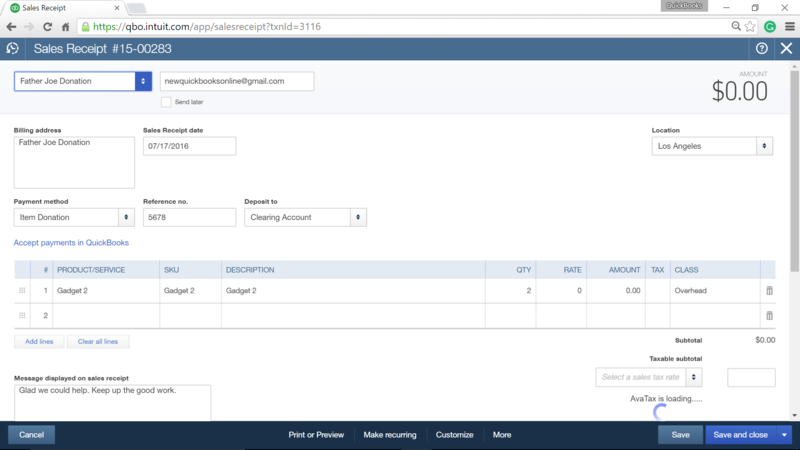 The cost of the product/service entered in the field above will populate the Credit field. 7. Optional. Attachments (bottom left) for the record. Attach Transaction Journal (that gives you how you got the cost of the donated items) and Sales Receipt.